You are here:Home » MRC News » Science » What Is the Muck Finders Program? Marine Resources Council, Brevard County Natural Resources Management, and Brevard County citizens have teamed up to assist muck management actions in the Indian River Lagoon with Muck Finders. Volunteer citizen scientists are given the education, training, and equipment necessary to verify the presence and depth of muck in targeted areas throughout the IRL. Brevard County’s Save Our Indian River Lagoon Project Plan dedicates nearly 200 million dollars over the next ten years to muck research and removal. The data collected by the Muck Finders program helps ensure that removal efforts are as strategic and efficient as possible. This program depends on volunteers. If you are interested in helping, please contact us! Why is muck an issue in the IRL? 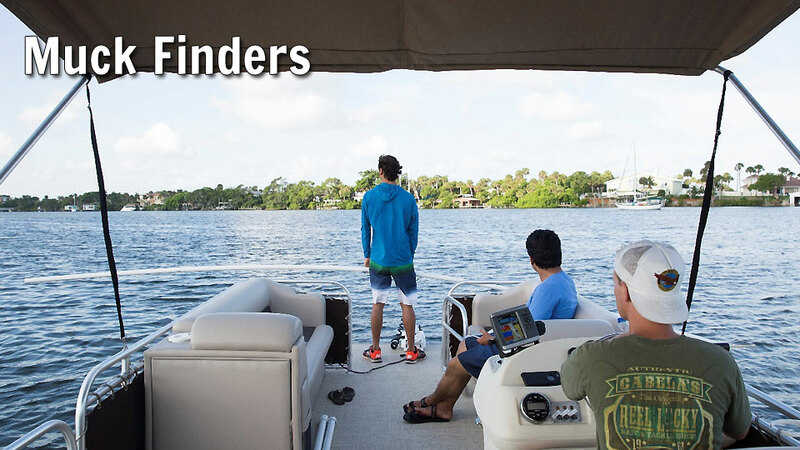 The Indian River Lagoon was once a sandy-bottom estuary, with a modest accumulation of organic detritus from shoreline and aquatic vegetation loss. The bottom of the lagoon is now covered in a layer of fine silt and sediment called “muck” which has accumulated over years of excess sedimentation. Silt, sediment, and other fine particles carried in by tributaries, canals, and storm drains accumulate and break down on the bottom, forming thick black ooze. Muck has built up in channels and deep pockets where it has reached depths of up to 15 feet! The muck is a problem as it increases turbidity, depletes oxygen, stores and releases nutrients, and smothers seagrass and other bottom-dwelling critters.